Want to ride the world's best wooden roller coaster? Then check out the Knott’s Berry Farm All Day Trip in California. On this trip visitors will enjoy great shows, thrill rides and one of a kind attractions. Have a family's day out with Knott’s Berry Farm All Day Trip and prepare yourselves for a fun-filled excursion. With lots of rides and attractions, everyone will have the chance to take part on their most favored activities. You will also have the chance to see high-energy musical shows at the park from the biggest hits of superstars to the great rock classics. 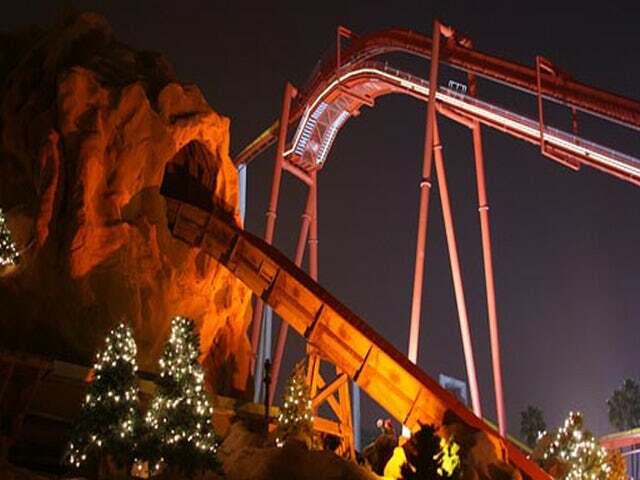 Knott’s Berry Farm All Day Trip is an excellent family vacation where you, your wife, and your kids can enjoy. Get to ride the GhostRider, the world’s best wooden roller coaster and experience a one of a kind ride. You can swing your worries with La Revolucion 64 feet up in the air. Get wet and wild with Perilous Plunge, the world’s tallest and steepest water ride and feel the adrenaline rushing. Scream out your excitement on the Screamin’ Swing where you’ll be launched in the air 70 feet high. If that’s not enough, you can burst out another scream with Supreme Scream where you’ll be plunging down from 30-stories in height ride in just a few seconds. Contact us now and treat your family with Knott’s Berry Farm All Day Trip where everyone can have their fun!